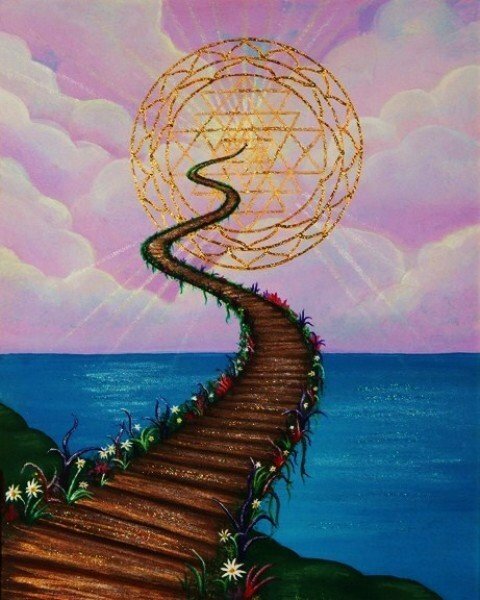 Path to Peace | Artwork – Store – Tammi B. Ph.D.
Hand painted mandala, 16" x 20", acrylic, mixed medium, gold leafing and Swarovski crystals. Created for a dear friend who transitioned unexpectedly from Earth to Heaven. Although I grieved, I sensed while painting this mandala, that he is now in a beautiful, exquisite and extraordinary place - and that we will play together again one day.